"Damn those Dams" said a friend on a Social Network. Why was he reacting that way? It is because the water levels in major dams continue to rise due to heavy rains spawned by the southwest monsoon according to PAGASA. As of 6 a.m., La Mesa Dam in Quezon City has overflowed and was at 80.54 meters, over and above its spilling level of 80.15meters, according to the Philippine Atmospheric Geophysical and Astronomical Services Administration. Ipo Dam in Bulacan opened two gates after its water level reached 101.10 meters, beyond its spilling level of 100.80 meters. Part of the released water from Ipo Dam goes to La Mesa Dam. Ambuklao Dam in Benguet is at 751.72 meters, nearing its spilling level of 752.00 meters. Two of its gates have been opened. Three gates remain open in Binga Dam in Benguet after its water level reached 574.32 meters, also close to its spilling level of 575.00 meters. 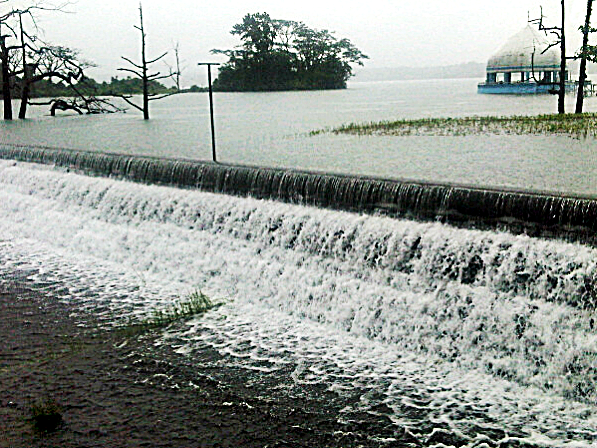 San Roque Dam in Pangasinan is beyond its spilling level of 280.00 meters. Its water level has reached 283.36 meters as two of its gates were now open. Magat Dam in Isabela is also beyond its spiling level of 190.00. Its water level is now at 191.42 meters. Meanwhile, Caliraya Dam in Quezon is also nearing its spilling level of 288.00 meters. It is now at 287.27 meters.